Old-school way to buy. Kill the plastic. 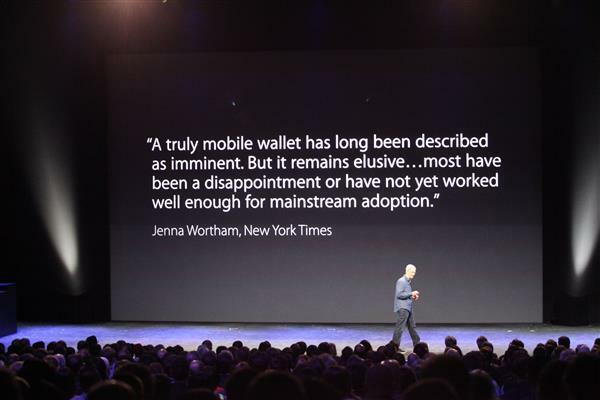 A NYT quote is up on screen, saying mobile payments don't work well enough for mainstream adoption. 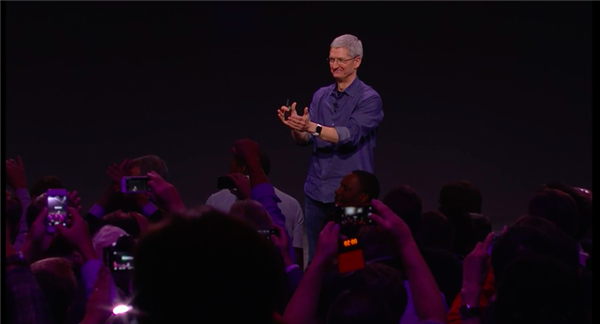 Tim Cook: "We've create an entirely new payment process. 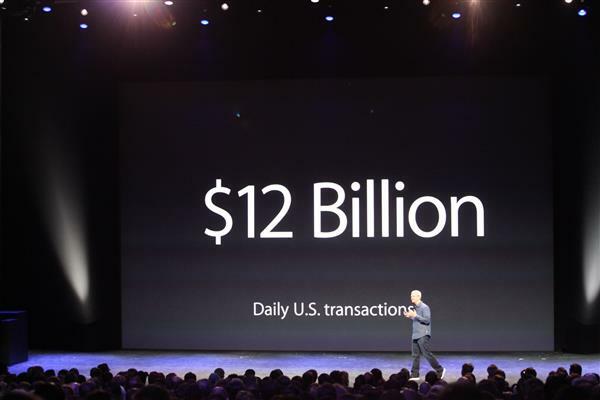 And we call it, Apple Pay." One touch on a kiosk device, and you/re done. 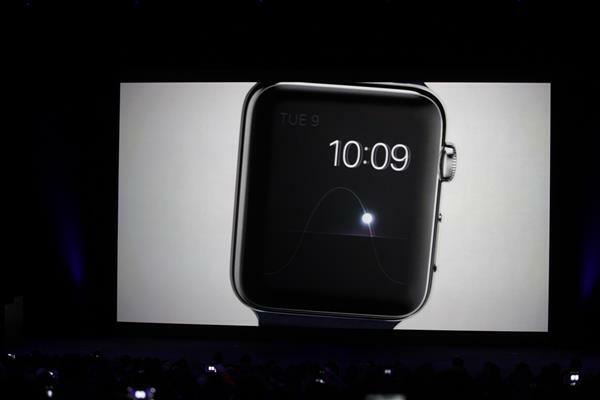 The demo is: Beep. And you're done. 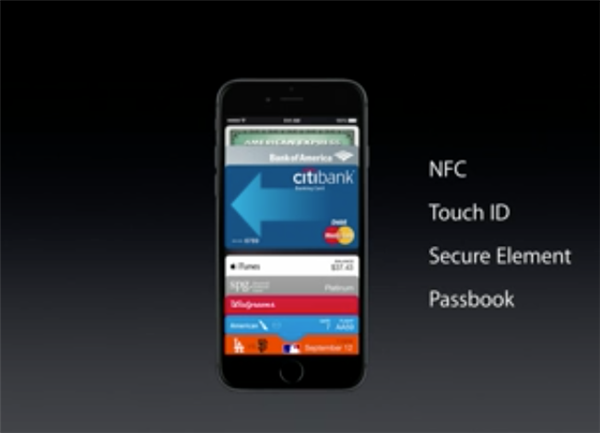 It uses TouchID to authenticate, which makes perfect sense. 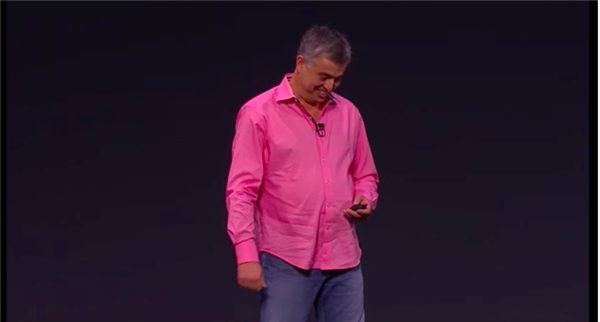 Eddy Cue is coming out! He's wearing a VERY bright pink shirt. Some background on Eddy Cue. He's the senior VP of Internet software and services at Apple. 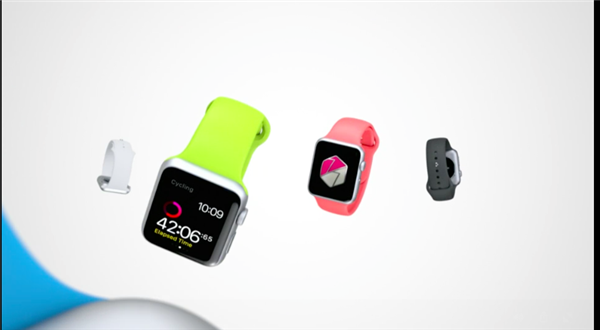 In the past, he's helped set up Apple’s online store, iTunes, and the App Store. 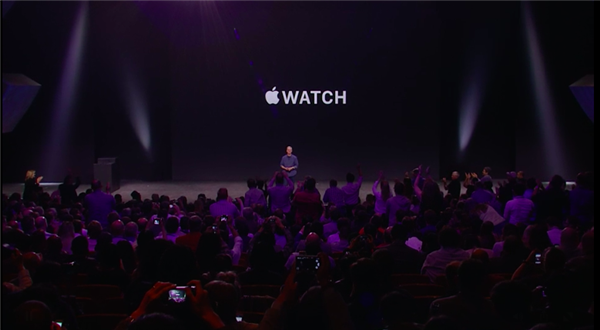 Generally he’s Apple’s fix-it guy, there to clean up messes like the Apple Maps fiasco in 2012. 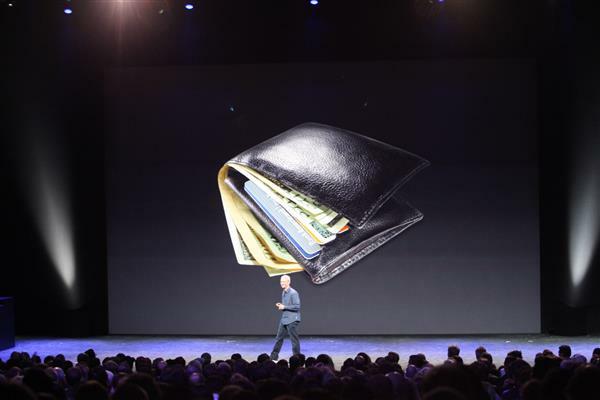 To pay with ApplePay, you just hold iPhone 6 to the special terminal--simpler than Android Wallet. But the store does need the terminal. Cue: We have a groundbreaking NFC radio antenna across the top of the phone, also the convenience and security of TouchID. 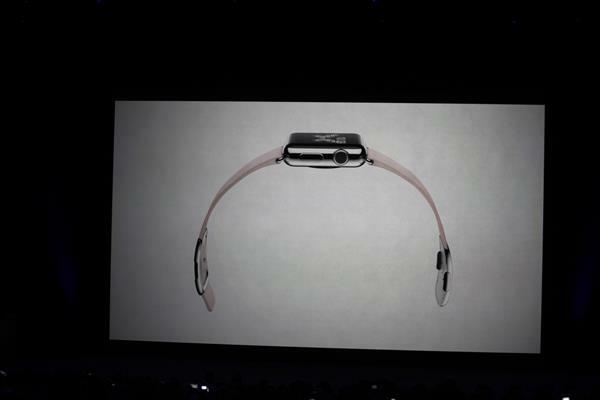 And a new chip, the Secure Element, that stores all your information securely. 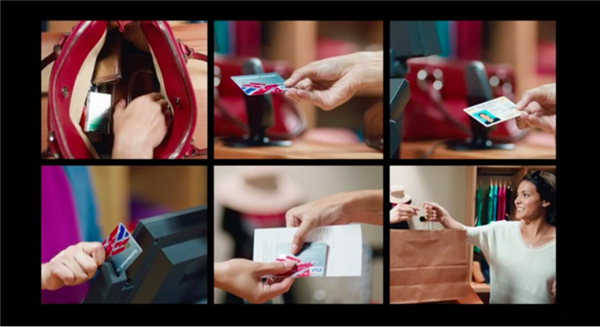 Cue: You can add new cards to your Apple Pay by taking a picture of your credit card with the app. You verify with your bank and then it's added to Passbook. 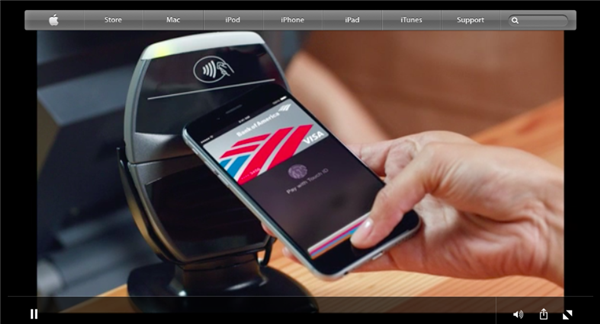 The security system for Apple Pay is your fingerprint. (The card # is not stored in the phone.) Just don't let anyone amputate your finger. 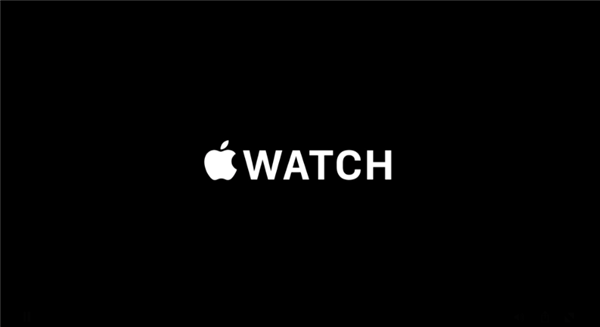 A look at Apple Pay, which stores your credit cards in the Passbook app. Cue on security: We don't transmit credit card numbers to merchants. We send them a one-time credit card number and security code. And if your phone is stolen, you can disable it. Since the number isn't stored on the phone, there's no need to cancel your credit card. 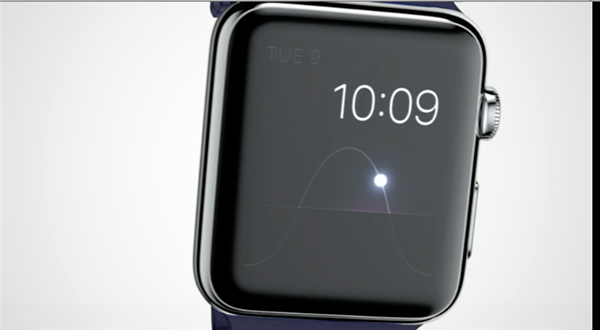 The watch is GORGEOUS... especially in closeup, almost pornographic slow-motion!